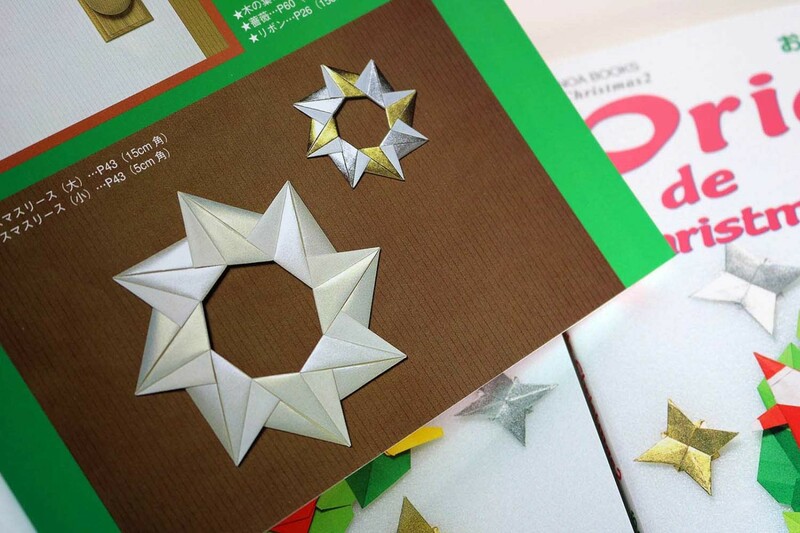 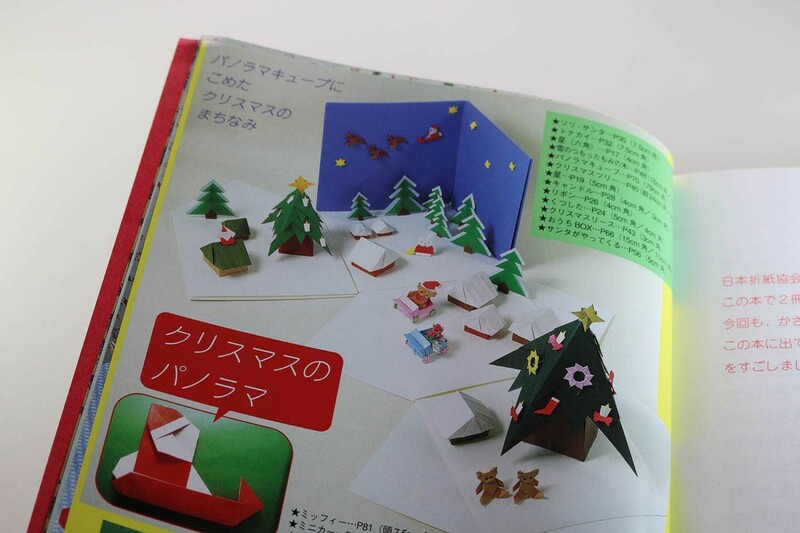 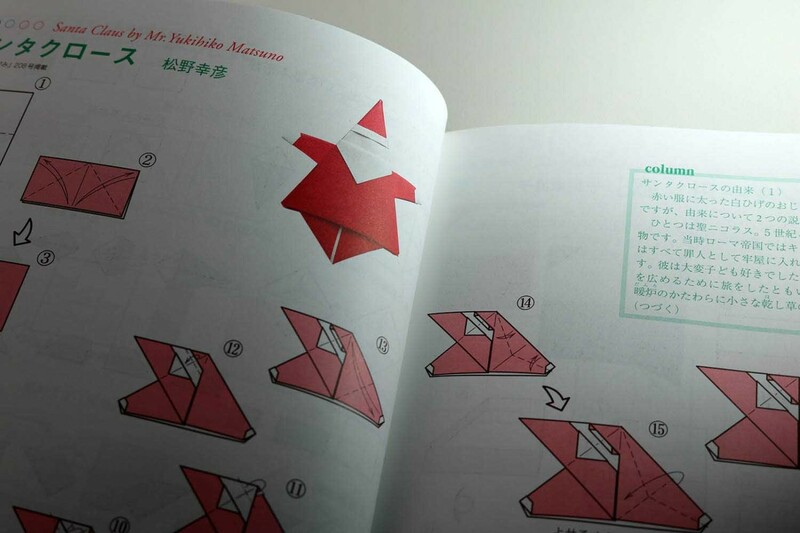 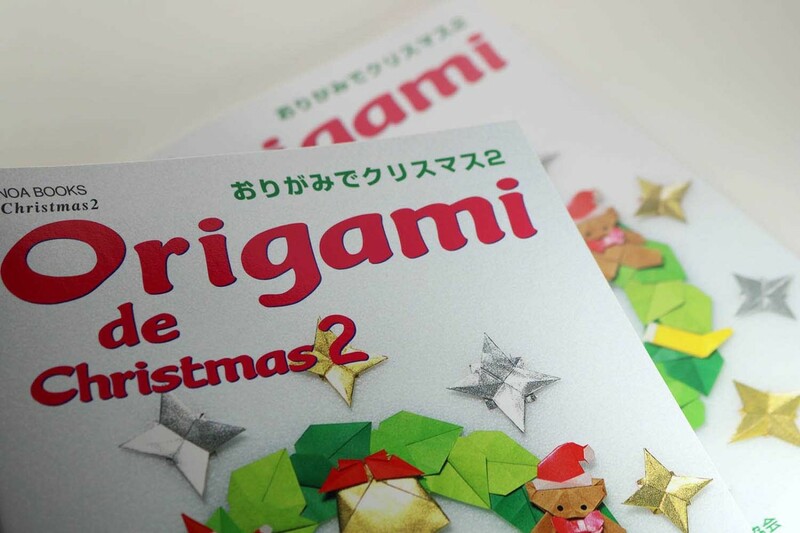 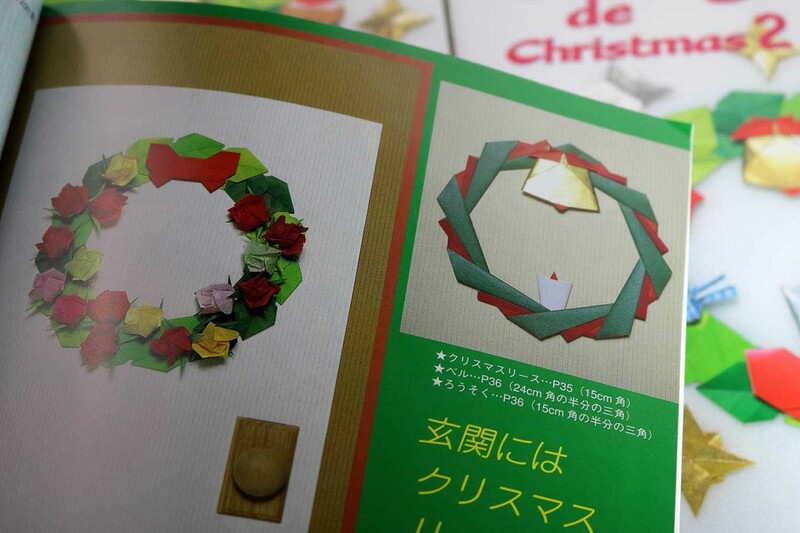 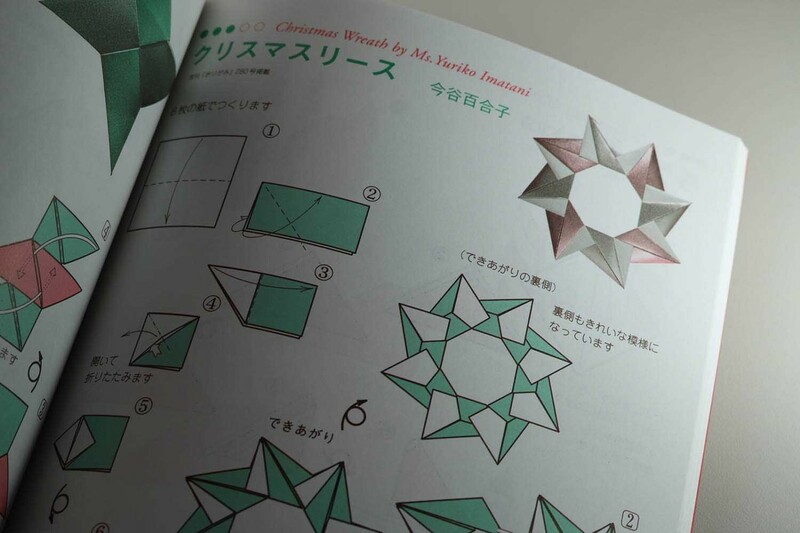 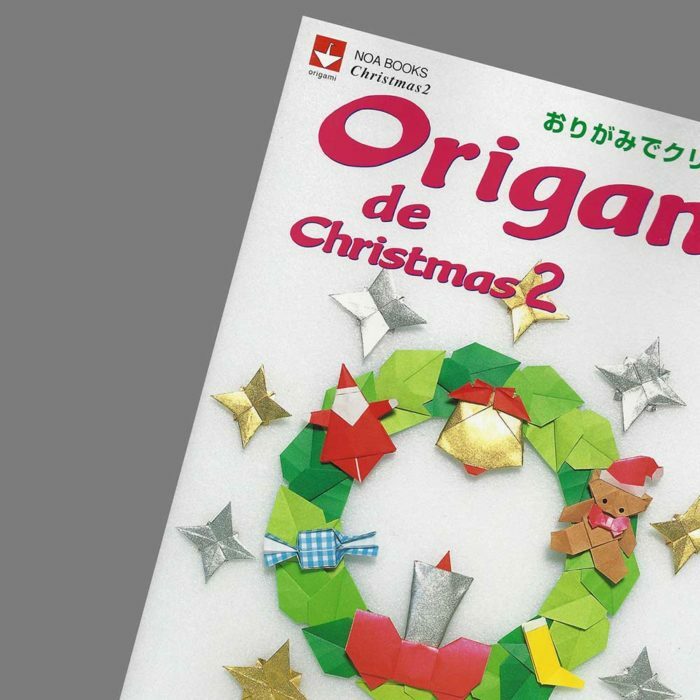 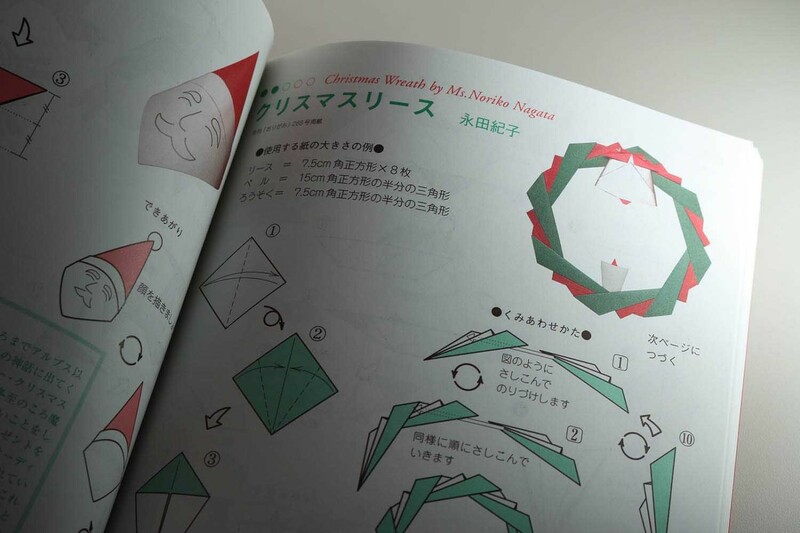 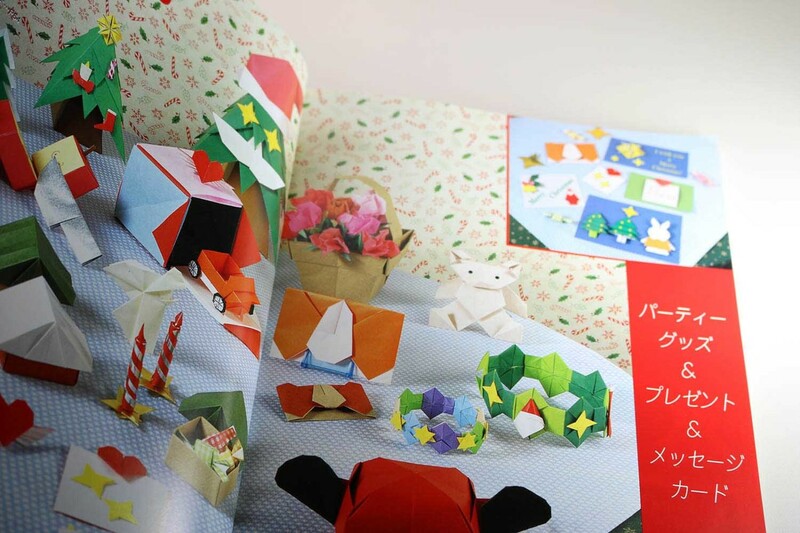 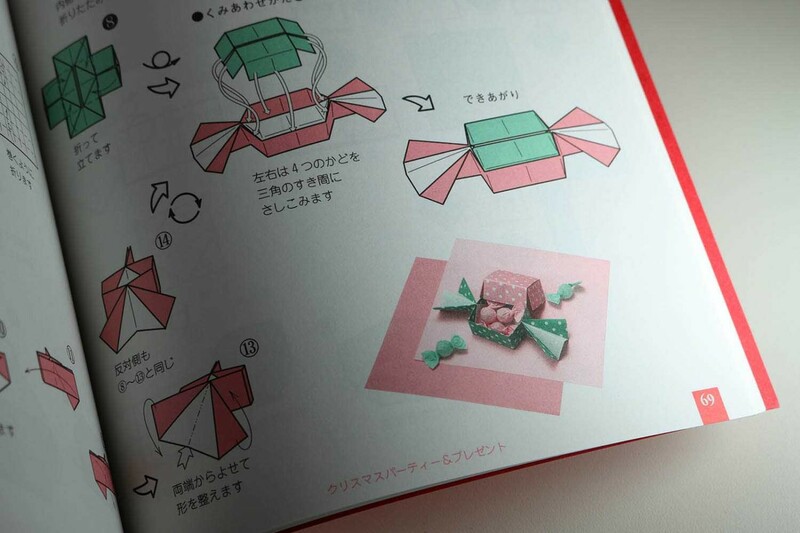 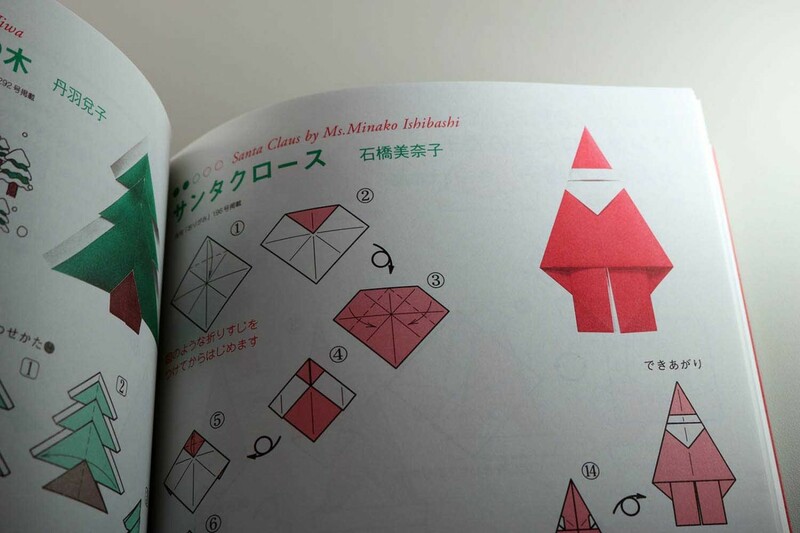 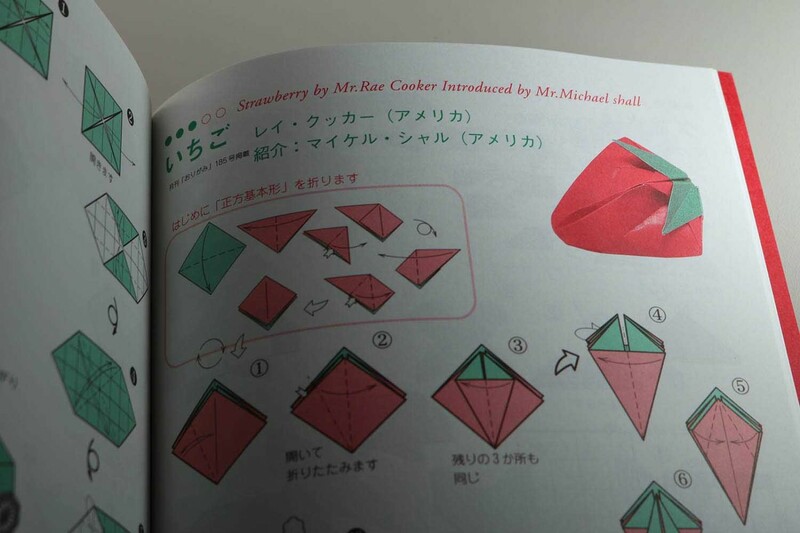 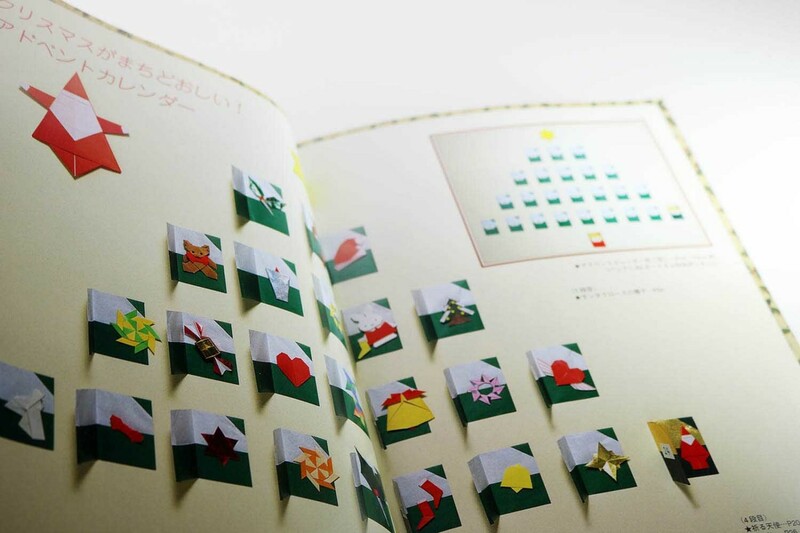 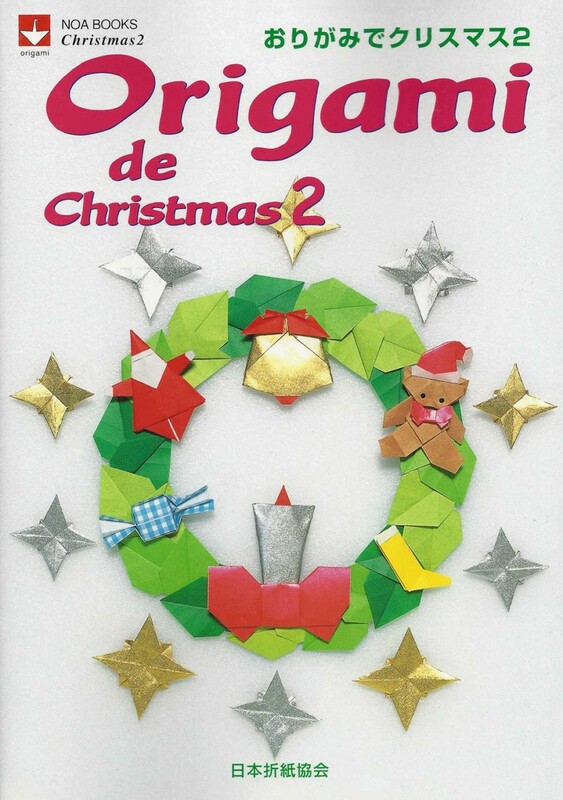 More than 40 Christmas models by various authors and the entire alphabet by Katsushi Nosho are featured in this book. 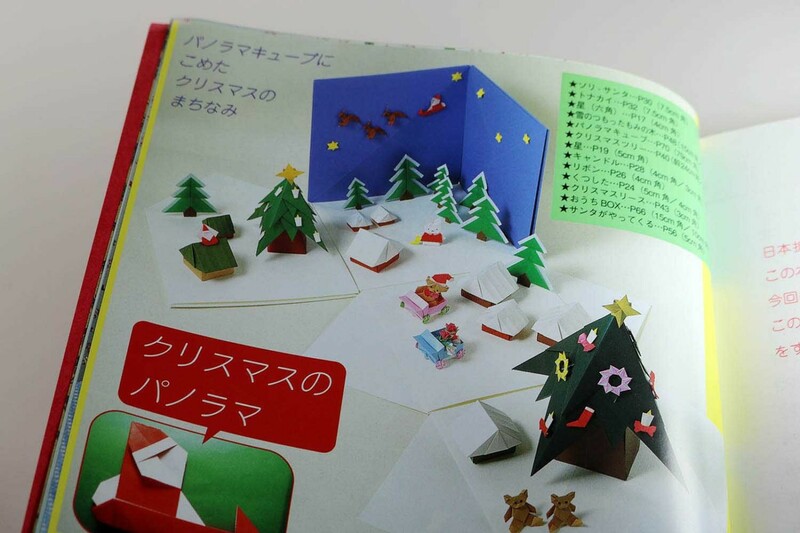 Four Santa Clauses – one of them sitting in a sleigh, a praying angel, hat and beard for Santa Claus, Nicholas boots, doors for an advent calendar, Ilex with berries, 2 bells, bow, 3 candles, 1 flat tree made of a 1: 4 rectangle, a three-dimensional tree of 10 modules, each a 2- and 4-part flat tree in a pot, a reindeer, 3 modular Christmas wreaths – one of leaves, one star-shaped, a Mickey Mouse hat, a modular crown, a beating heart, a card with a heart , a heart with wings, an envelope with bunny, a rose with leaves, a basket, a “candy box”, a “house box”, Kasahara’s panorama cube, a sliced ​​apple with knife, Ray Cooker’s strawberry, a mini Trailer with wheels, a two-piece teddy bear, the bunny Miffy, Robert Neales pinwheel ring and various stars: from one piece of paper you can fold a 4, 6 and 8-pointed star, another 4-pointed star is assembled by two simple modules. 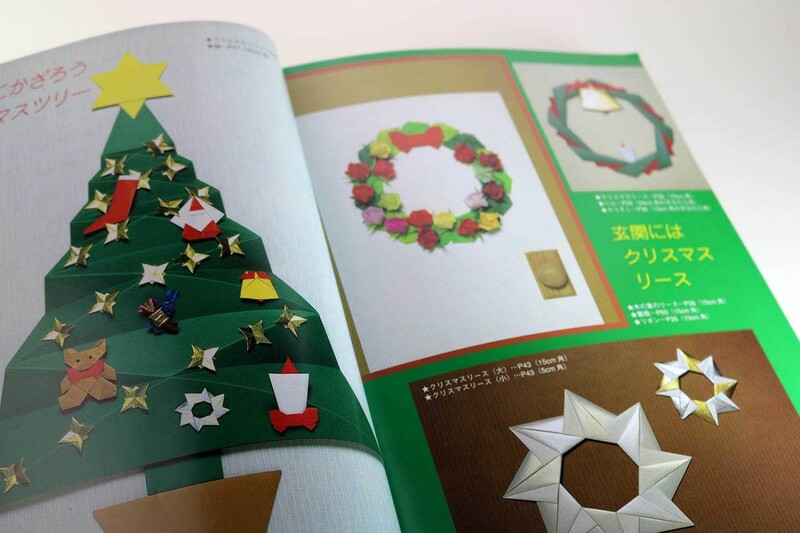 The models are suitable as wall and door decorations, as Christmas tree decorations or as a decoration for greeting cards.